The life story of Stephen Hawking is told in this week's release of The Theory of Everything. Sue me. I'm Stephen Hawking." A film that could have easily veered into depressing tear jerking territory turns out to be one of the most uplifting and motivational pieces of cinematic work to hit theaters this year. James Marsh (director) offers up this captivating and inspirational story with a simple beauty and style that feels fresh and unhampered by over dramatics. 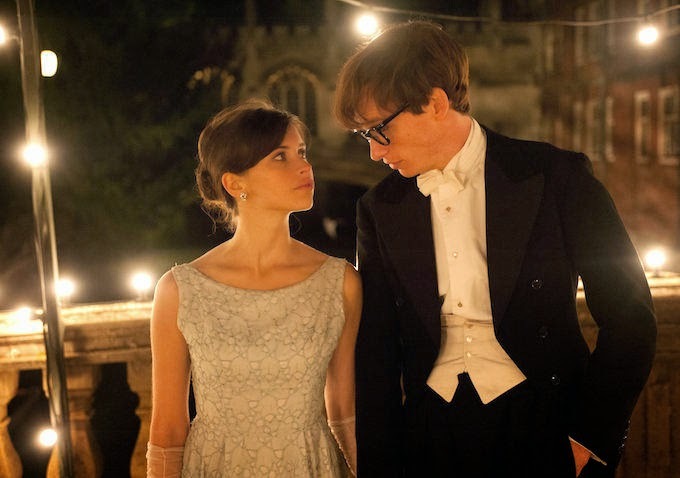 The Theory of Everything has certain reality based qualities that so many biopics lack. It never feels over exaggerated or one sided. Audiences are given a refreshing and tangible look at Hawking's most amazing and oft times challenging life through the respective eyes of a talented director that knows exactly how to capture palpable and tastefully rendered on screen moments. The Theory of Everything is a straight biopic that sticks closely to the facts while presenting a story about one man's battle against a debilitating disease while continually proving his undeniable worth as a genius. Against all odds, Stephen Hawking looked a life destroying illness dead in the eyes and didn't let it hamper his ability to succeed as the world's most brilliant man. His story is told in this realistic portrayal that shines a bright light on his life long battle with Lou Gehrig's disease, his work as the world's greatest physicist, and his marriage to Jane Hawking. Eddie Redmayne's portrayal as Hawking is a career defining moment that will most likely make him a much bigger dramatic star. 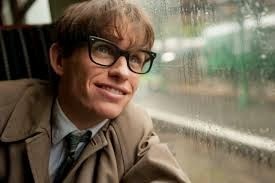 His uncanny resemblance to Hawking made him a perfect selection for the role. However, his time spent as Hawking is one hundred percent instinctual and based on his superb ability to emote through a demanding physical performance that uses very few words. Redmayne does a wonderful job capturing the essence of Hawking's sense of humor, his level of ambition, and his forward thinking scientific mind. His work here will most likely garner some Oscar attention considering how different and demanding this role was. While The Theory of Everything is a bit slow at times, it's an honest portrayal of Hawking's earlier years, his initial diagnosis, the challenges of his condition, and the years that followed. The story will tug at your heart while sending you one abundantly clear message: With dedication and commitment, you can do anything you set your mind to. The Theory of Everything is the perfect specimen of how biopics should be done. It presents the facts without ever heavy handedly manipulating its audience into submission with too many overtly sentimental scenes. See it.